Events in London and China (city TBD) are in the works for later this year as well. If you have an idea for a great Windows Mobile application, would like to port your existing app, or want to accelerate development of your current Windows Mobile application, Mobile Acceleration Week provides a truly unique opportunity to meet with top technical and business development people at Microsoft, network with partners, and get exposure for your application. If interested, email mobilaw@microsoft.com for more information on the application process. 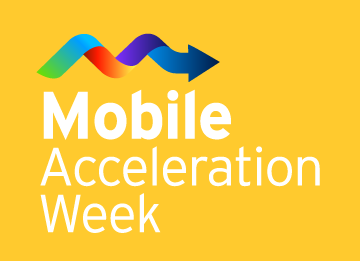 For general information about the event, visit the Mobile Acceleration Week website.